Rate and review Mr Electric of Greenville NC in Ayden, NC, United States! 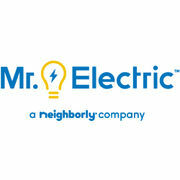 Share your experiences at Mr Electric of Greenville NC with your friends or discover more Electricians in Ayden, NC, United States. ★★★★★ The service we received were impeccable! We will not hesitate to recommend you to our friends.